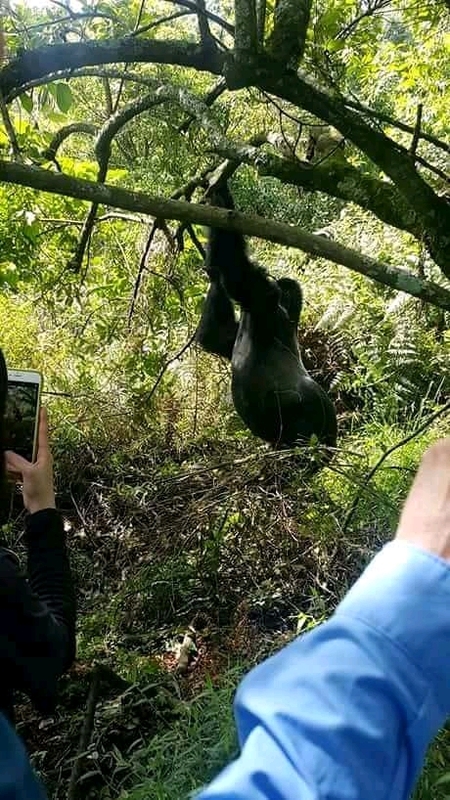 Putting fun into action, gorilla entertaining our clients in the jungle. Image being extremely surprised by a gorilla !! Come on….. As you become the first hand story tell about Gorillas and entire wildlife activities in Uganda.